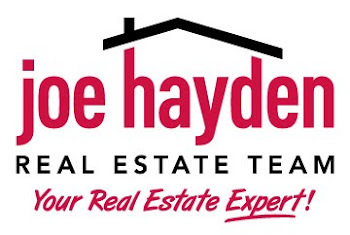 Plan a Shopping Day at the Paddock Shops this November | Louisville Real Estate with the Joe Hayden Real Estate Team - Your Real Estate Experts! Before the holiday season really begins, why not do a little shopping for yourself? Visit the Paddock Shops this November, and enjoy a whole day of stores, restaurants and plenty of stuff to keep the kids occupied while you shop. The Paddock Shops are a family-friendly place to go shopping, have a bite to eat and spend a whole day -- or two. After all, no one's counting. You can find all sorts of shops here. Visit American Eagle Outfitters, the Gap, J. Crew, Ann Taylor, Pier 1 or dozens of others. There are a ton of stores here. You can find a nail salon, take the kids to Gymboree and pick up something new to read at Barnes and Noble. There's a lot of stuff to see and do in the Paddock Shops. The Shops are at the corner of Brownsboro Road and N. Hurstbourne Parkway. You'll find them at 4055 Summit Plaza Drive, just down the road from the Springhurst neighborhood. There are lots of place to go around Springhurst, from the busy atmosphere of the Paddock Shops to the quiet, natural beauty of E.P. "Tom" Sawyer State Park. There’s a lot to do inside Springhurst, too. This neighborhood was designed to be a quiet oasis for families. There are wide streets, sidewalks for kids to play safely and lots of big green lawns. Many of the homes here have basements, garages and traditional architecture that never goes out of style. Springhurst is a community with a strong neighborhood spirit, and plenty of amenities for residents. There's a lake in the neighborhood, a pool, a clubhouse, tennis courts and plenty of places to have a picnic or go hiking. Go take a look at Springhurst this November, and you may decide to shop for more than clothes and holiday gifts when you see the homes here.